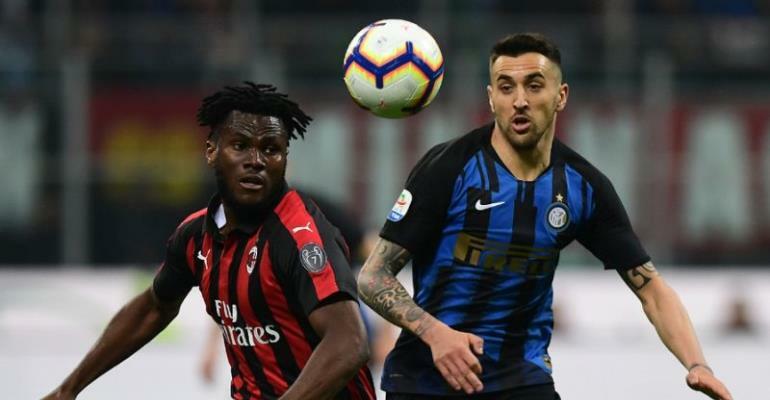 The Italian football federation's sports judge said three officials in different parts of the stadium twice heard the "racist chants" directed at Kessie after seven and 39 minutes from Inter's Curva Nord (north stand) at the San Siro. Inter coach Luciano Spalletti also received a warning after he was sent to the stands for dissent during his side's 3-2 win which moved them to third in Serie A at the expense of Milan who dropped to fourth. AC Milan, meanwhile, were fined 10,000 euros ($11,354) after a potentially-dangerous blunt object was thrown onto the pitch. Torino's Nigerian wing-back Ola Aina was slapped with a three-game ban and fined 10,000 euros, for his "intimidating attitude towards the referee" during his side's 3-2 defeat by Bologna. Parma coach Roberto D'Aversa was fined 5,000 euros for "blatantly criticising the work of VAR" in a 4-1 defeat by Lazio.